We develop a method to enable collaborative modelling of gravitational lenses and lens candidates, that could be used by non-professional lens enthusiasts. It uses an existing free-form modelling program (glass), but enables the input to this code to be provided in a novel way, via a user-generated diagram that is essentially a sketch of an arrival-time surface. We report on an implementation of this method, SpaghettiLens, which has been tested in a modelling challenge using 29 simulated lenses drawn from a larger set created for the Space Warps citizen science strong lens search. We find that volunteers from this online community asserted the image parities and time ordering consistently in some lenses, but made errors in other lenses depending on the image morphology. 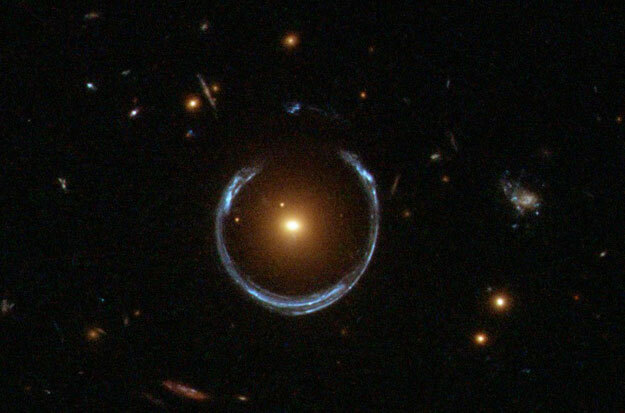 While errors in image parity and time ordering lead to large errors in the mass distribution, the enclosed mass was found to be more robust: the model-derived Einstein radii found by the volunteers were consistent with those produced by one of the professional team, suggesting that given the appropriate tools, gravitational lens modelling is a data analysis activity that can be crowd-sourced to good effect. Ideas for improvement are discussed, these include (a) overcoming the tendency of the models to be shallower than the correct answer in test cases, leading to systematic overestimation of the Einstein radius by 10 per cent at present, and (b) detailed modelling of arcs.